Yesterday Virginia Democrats selected state Senator Mark Herring as their nominee for the 2013 general election. He will face his fellow state Senator Mark Obenshain in November. 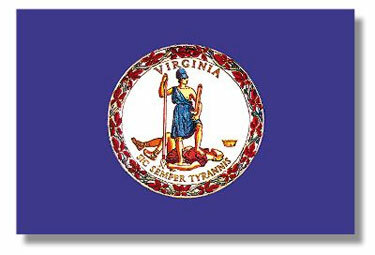 As regular readers know, this is not a political blog; rather this blog is focused on the Virginia Fraud Against Taxpayers Act and qui tam litigation in Virginia. Therefore, for obvious reasons, it is of interest to us who is elected Attorney General of the Commonwealth. Later on this summer, we will approach both candidates to get their views on affirmative civil enforcement of the Virginia Fraud Against Taxpayers Act, but for now we will simply take a quick look at both candidates. First things first — partisan politics aside, Virginia has not elected a Democrat to the Office of Attorney General in the last 23 years, or 27 years depending on how you count. (Mary Sue Terry was elected in 1986 and re-elected in 1990.) Several Democrats were elected to the Governorship during that time period, so we cannot simply write this trend off as politics in the Commonwealth. Clearly, Virginian’s seem to entrust law enforcement issues to Republicans more than to Democrats. Taking a look at the candidates, some commentators seem to think that Obenshain has that rarest (but most desired) political ability, that is, the ability to attract cross-over votes and even capture some discontents from the opposing political party. Those same commentators wonder, FYI, if the hard-core conservative positions of Ken Cuccinelli and E.W. Jackson will hinder Obenshain’s ability to attract cross-over votes. Only time will tell on this count. On the Democratic side of the ball, I think Mark Herring’s positions on some Democratic hot-button topics may well harm him in the general election. Namely, Herring has been an outspoken advocate in favor of gay marriage. Please note, I am not taking a position one way or the other on the topic, I am merely stating what I deem to be the obvious — namely, I do not think this campaign platform will win him many votes in the General Election. Regardless of what a person thinks about this issue, it is not something that is supported by the political climate in Virginia, and I suspect Mark Obenshain will hit this topic quite a bit in the coming months. We are likely to hear quite a bit about the topic of gay marriage, but I think there are additional inside-baseball type-issues that could also play a role. For example, it is well-known in Virginia legal circles (and elsewhere in Loudoun County) that Herring has single-handedly blocked the nomination of William Atwill to a Circuit Court judgeship in Loudoun County. A great many people from both political parties consider Bill Atwill to be a gentleman and one of the nicest guys around…and on top of that, there is a definite need for Judges in Loudoun County. So we will see how all of this plays out…stay tuned readers.